Sunday, Nov. 11 is Veterans Day. It is an official holiday to honor the brave men and women who have served in the U.S. military. Originally established in 1921 as Armistice Day, the holiday commemorated the day and time that World War I fighting ceased. In 1954, President Eisenhower changed the name of the holiday to its present Veterans Day. There will be celebrations across the nation marking the Veterans Day Holiday, like the Green Bowie Veterans Day 5K November 10 in Bowie, MD; the 2018 Crofton Flags for Heroes from November 3-17 in Crofton; and the National Veterans Day Concert in Washington, D.C. November 11. Simply Say Thank You – Tell a veteran thank you or send a handwritten note of thanks. Treat A Veteran – Take a veteran to breakfast, lunch or dinner or pick up the tab for a meal or coffee for a veteran at a restaurant. Volunteer Your Time – Identify a charity, hospital or other organization that needs help near you. Donate – Make a financial donation to an organization that works with veterans or the military. Don A Poppy – Pick up a red crepe paper poppy from the American Legion Auxiliary. Donations to the program support disabled and hospitalized veterans in your communities. Support Veteran-Owned Businesses – Locate one of the estimated 3 million veteran-owned businesses at buyveteran.com. Take a Moment – Stop for a moment of silence at the 11th hour of the 11th day of the 11th month. 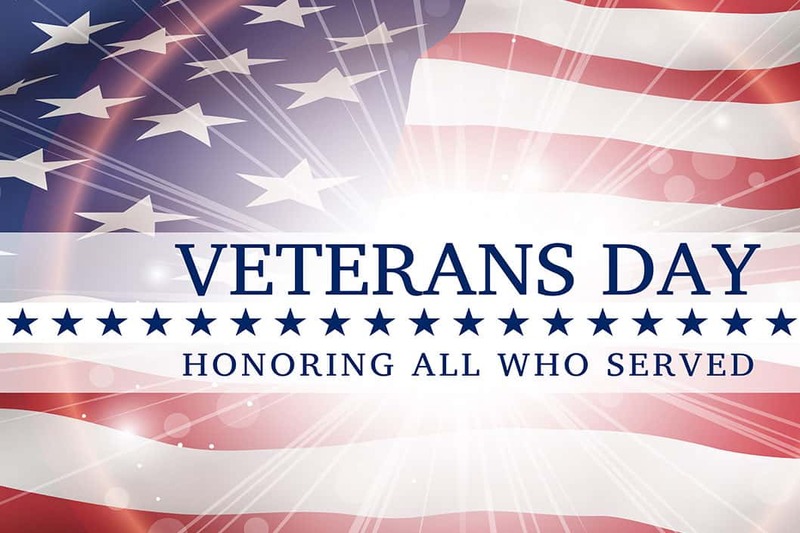 Our Chesapeake Automotive Equipment team would like to thank all veterans and take this opportunity to send special thanks to the veterans in Delaware, Maryland, northern Virginia, the West Virginia Panhandle and Washington, DC.